What Are Your Peers Doing With Cloud, Virtualization and HA? 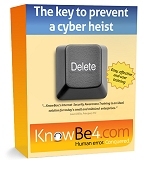 Frustrated With Gullible End-users Causing Malware Infections? A recent survey done by Accenture and the London School of Economics and Political Science's Outsourcing Unit shows that IT people see issues like security and privacy as a barrier to cloud adoption. "One of the very interesting findings was there was a clear gap between business people and IT people," said Andrew Greenway, global cloud program leader for Accenture. "Business people said they didn't see security and privacy as an issue around the cloud. IT people conversely saw data privacy, lock-in and security as much more of a problem. Greenway said that it was the extent of the gap that was shocking, and that the gap needed to be narrowed. Otherwise, business people, armed with a credit card, can and will bypass IT to order the services they want. "That's going to shock the IT into delivering services with much more speed and agility," he said. Well, let me tell you about my own cloud experience. June last year I was in the privileged position to start a whole new company from scratch. Did a whole bunch of research and decided to go 100% cloud. Our servers live in the Amazon cloud and Google hosts our email. Then there are a bunch of 'cloud building blocks' like Salesforce for CRM, Genius for marketing automation, the 'cloud flavor' of Quickbooks that flawlessly integrates with Salesforce, and a series of cloud-based services that I can simply sign up for and plug in. And within each category there are several tools to choose from. Man, this was so much easier than 15 years ago, I have spent many millions of dollars at Dell, building out whole data centers with dozens of servers. No more. "Stu, My greatest concern is the massive amounts of energy & enthusiasm about tablets yet nary a thought to what can (or should) be done with them. My company just ordered a couple dozen iPad 2 tablets for our board members and some other key personnel. What they'll be using the devices for? We're an overwhelmingly Microsoft enterprise (even our "web-based" apps are IE-specific) - are there apps even available to integrate these vastly different worlds? Are the key apps that these people need to use even geared for touchscreen UI? Quite often, the answers to these kinds of tough questions yield little more than hype and shrugs. "And there's no thought being put into the support infrastructure that's going to also going to significantly impacted. If a desktop PC dies, the support techs replace it with a like (usually much newer) machine, load apps, and the user is back in action relatively quickly. When an iPad 2 smashes to the ground and is rendered as useful as a doorstop, what then? How rapidly can we replace that unit? Who's going to field the myriad of questions from people who were barely up to speed on Windows PCs and are now trying to grasp the fingertip-driven world? "This is an IT guy's nightmare - there's tremendous focus on tablet features and specs with surprisingly little concern about how or if these snazzy consumer-grade toys can be used productively in a business setting." And again, a bunch of you responded to the article in the previous issue that stated that firewalls fell down on the job. Here is one response that quite clearly makes the point: "More appropriate headline would be "Pay-to-read reviewer with doubtful methodology asserts un-provable failings in Major Firewalls". And for $3500 you can read all about it..... That story and the lame links sucked. We expect better of you Stu!" Regards, -- G. L.
Sorry guys, you are right and that one slipped through. I will be a bit more vigilant next time!! "I sometimes suspect that half our difficulties are imaginary and that if we kept quiet about them they would disappear." -- Robert Lynd. "A good plan violently executed now is better than a perfect plan executed next week." -- Gen. George S. Patton, Jr.
"Success is the sum of small efforts, repeated day in and day out." -- Robert Collier. Location: This is an Internet based event. Bad news. Keeping your organization secure is only getting harder. Software flaws, zero-day attacks, data breaches, and new targeted attacks on social sites put your users and your company data at risk. The good news is that using a two-pronged approach to security can help to mitigate these risks substantially. In this must-attend event, you'll hear from top network security experts as they explain how reliable, high-performance antivirus (AV) solutions and user education can work in concert to help stop threats. A Chance to Win: Live attendees will be entered for a chance to win an iPod Nano. Featured Speakers: Erik Goldoff, IT Systems & Security consultant for Goldoff Consulting. InfoWorld wrote: "Compared with its predecessors, Windows 7 is remarkably secure and dependable. It's far from perfect, though: An unbootable PC, a nasty piece of malware, or a single important file gone missing can make you lose days or even months of work. And you can't solve every nightmare by waking up. Here are ways out of six common Windows 7 disasters. I'll tell you how to fix a PC that won't boot, retrieve files from an inaccessible hard drive, stop frequent blue screens of death, restore a forgotten administrator password, remove malware, and find a missing file. We'd like to invite you to participate in the latest joint ITIC/GFI Software survey on Virtualization, high availability and cloud deployment trends. We're sensitive to your time constraints. This survey should take only a few minutes to complete. It polls organizations on their current experiences with virtualization and the cloud as well as future deployment plans for both those crucial technologies. All responses will be kept confidential. As always, we thank you in advance for your participation. As an added incentive, ITIC and GFI are giving away a free iPad and a free iPod to the survey respondents who provides the most insightful response to the final essay question. So be sure to provide us with your Email address along with your comment within the Essay question response. Once the survey is finalized, we'll publish the Executive Summary and survey highlights in this newsletter. To further show our appreciation, anyone who completes the survey can get a complimentary copy of the Report once it's published by sending an Email to Laura DiDio at: [email protected] Here's the survey link. Thanks in advance for your feedback. We look forward to your participation! We are very pleased to announce our latest Beta releases for the VIPRE Enterprise family of products. These betas pertain to both the console (Update 3) and agent software (Update 2). This is a very comprehensive update, with a number of enhancements and fixes designed to improve the overall functionality, performance, stability, and ease-of-use of the product. Introduces German and Italian language option for the VIPRE Site Service (VSS) and agents. Agent languages can be defined on a per-policy basis, allowing administrators to take advantage of multi-language agents via a single console. Beta agents can now be easily installed via the console at a policy level, allowing administrators to easily install/upgrade agents to betas. In VIPRE Enterprise Premium, an added convenience feature will allow administrators to deploy either a VIPRE Enterprise Premium or a VIPRE Enterprise (non-premium) agent by policy via a single console. Administrators can now specify exact times that the VIPRE Site Service will check for definition updates. This is beneficial for sites that are constrained by low-bandwidth connectivity, as well as regions where bandwidth metering may be a concern. Enhancements to Active Protection allow for improved remediation of malware, including Conficker. Improvements have been made to our rootkit engine technology. Improvements have also been made to the boot-time cleaner. On brand new console installations, an informational dialog will be displayed when the console is opened if less than five agents are installed. This dialog contains references pertaining to agent installation prerequisites, firewall configuration prerequisites, information about our competitive antivirus product uninstallers, as well as additional resources. On brand new installations only, the Default policy will no longer be completely passive, and will now quarantine threats out-of-the-box by default. The exceptions to this are the "cookies" and "commercial remote control tools" categories, as these are set to "allow" and "report-only" respectively. Upgrades are not affected. A bug in the VIPRE Enterprise Premium agent that could cause Cisco VPN client connectivity issues has been fixed. Corrected the NDIS problem where the VIPRE Enterprise Premium agent could cause systems to lose network connectivity after an unspecified interval. In addition, a number of bug fixes in both the console and agent are included. Quick: Two Click Survey - Which give-away would you like to win at a tradeshow?